Eco Cleaning Services, Inc. provides the following commercial cleaning services in the greater Ontario including Mississauga, Oakville, Etobicoke, Niagra Falls, St. Catharines, Stoney Creek, Grimsby, Hamiltion and Burlington. Clean restrooms reflect well on your business. When we are through, your restrooms will be clean and sterile. Keep your business looking its best from top to bottom, inside and out. Hire Eco Cleaning Services, Inc. Friendly Toronto maids- your local house cleaners maid in Toronto. 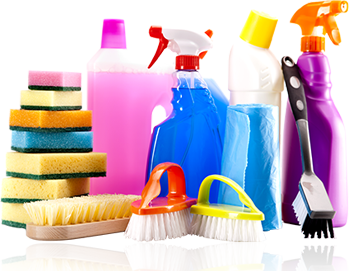 Our team of dedicated house cleaners have a proven high standard track record when in comes to top notch house cleaning services. Extend the life of your carpets while retaining your professional appearance. Discuss the best schedule for attaining your goals with our carpet cleaning professionals. Spot treat your carpets to remove those between carpet cleaning stains. Eco Cleaning Services, Inc. offers a carpet cleaning package that includes up to three free visits between regularly scheduled cleanings. Don’t let stained upholstery make a poor impression. Let us get those spots out. Eco Cleaning Services, Inc. take care of the “dirt” your contractor doesn’t see. Make sure you customers see what you have to offer, not the dirty windows. Your windows will be spotless when we do the job. Strip that old wax and get those floors shining like new again. Talk to us at 416-871-0905 to learn more about our floor maintenance services. Ensure a sterile environment. Hire Eco Cleaning Services, Inc.
Don’t let bugs and germs become a problem. Our cleaning services get all the germs out from toys to floors. Destroy germs. Degrease industrial surfaces. Dissolve resistant tar and nicotine stains. Talk to us about how our steam vapor cleaning services will make your business sparkle in every way. Our customized programs are designed to meet your needs, whether for daily, nightly or one-time office cleaning services. Are planning on selling your property, Or your tenancy agreement come to an end? Our power washing service is a quick way to improve of your property. ECS clears, cleans, and renovates properties preparing them for prompt resale. Warehouses have very distinctive cleaning needs, and the cleaning should be left to a cleaning company that understands them. Time is the critical element when dealing with disasters – Eco Cleaning Services, Inc understands this and is at the ready 24 hours a day, 7 days a week. We offer a complete sustainable cleaning program that encompasses all of your industrial cleaning needs. If you have any type of HVAC Repair work required in greater Toronto, give us a call today. Don’t lose customers because of unpleasant odors or the pest problems that can come with them. Our odor control and deodorizing experts will help you control odors.